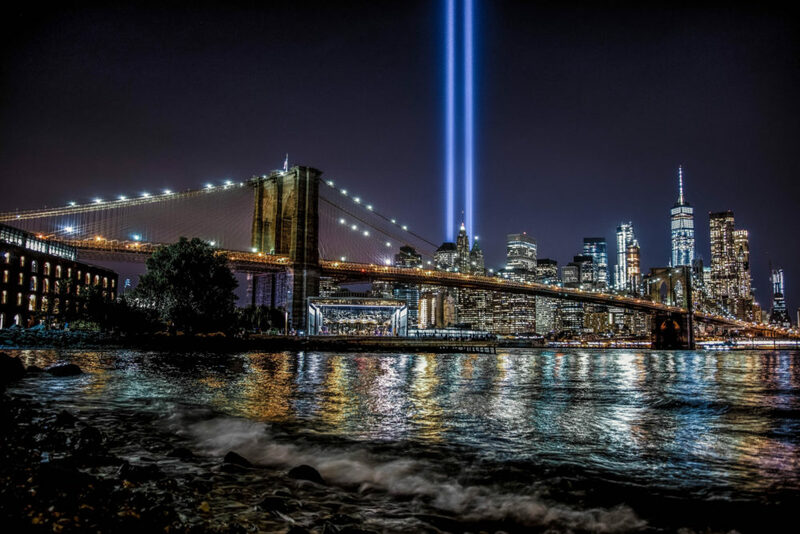 A 9/11 tribute has been published here annually since September 11, 2007. “Ever since the moment of the first impact at the World Trade Center, a struggle has raged between two broad, competing ideas of what really happened on September 11th, 2001. “The US administration delivered an almost immediate verdict, which can be described as follows: Dispatched by Osama Bin Ladins network and motivated by hatred and religious fanaticism, 19 suicide bombers hijacked four planes, crashed three of them into their targets, and caused the collapse of the Twin Towers as a consequence of the resulting damage and fires. The 19 men did not necessarily require any accomplices within the United States; and no one in the US government could have possibly anticipated or prevented the attacks. “…the United States Government does not seem to be very forthcoming with answers or facts”. Click here to order your DVD. “A downtown subway station has reopened for the first time since it was destroyed in the World Trade Center attack 17 years ago. The old Cortlandt Street station on the subway system’s No. 1 line was buried under the rubble of the twin towers on Sept. 11, 2001. Construction of the new station was delayed until the rebuilding of the surrounding towers was well underway. The new station cost $181 million and features a mosaic that uses words from the Declaration of Independence,” quoting WNBC-TV 4 News, New York. Blogger Klein is a long-time subscriber to Pilots for 9/11 Truth. God Bless the victims of 9/11, God Bless the Families of the Victims and God Bless America.